Brewery: Cerveceria Mexicana S.A. de C.V. Since creating this website, there were a lot of beers reviewed over the years that just never made it to the site due to time restraints, or just basically Real Life happening around me. I decided to put up some of these reviews in a series known as Retro Reviews. Remember this one? I know these are still around town, but I just haven’t sought them out in a while. 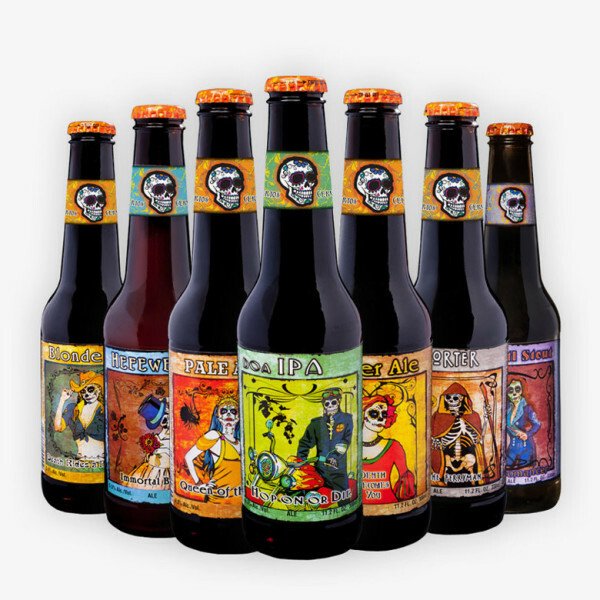 I remember a coupe of years ago, the Day of the Dead Beer series hit store shelves with a vengeance. These things were everywhere! Since they came to America, this series of Mexican beers had everyone scratching their heads trying to figure out if this was the work of Big Beer Company, or just a wicked distribution deal that got these guys here like a god damned hurricane! Well, I have done some searching, and found some information that may be helpful in trying to figure out this “who owns Who” situation with these guys. According to this article on Bloomberg.com, Cerveceria Mexicana S.A. de C.V. operates as a subsidiary of Grupo Modelo S.A.B. de C.V. as of November 11th, 2015. Well, Grupo Modelo S.A.B. de C.V. is owned by the Belgian company, Anheuser-Busch InBev, the mortal enemy to the Craft Beer World. One again, the giants hiding behind a Craft Beer label to disguise themselves among the many, many, many Craft Beer choices out there in the isles today. Damn them! Speaking of hiding behind a good beer label, let me tell you about this one. 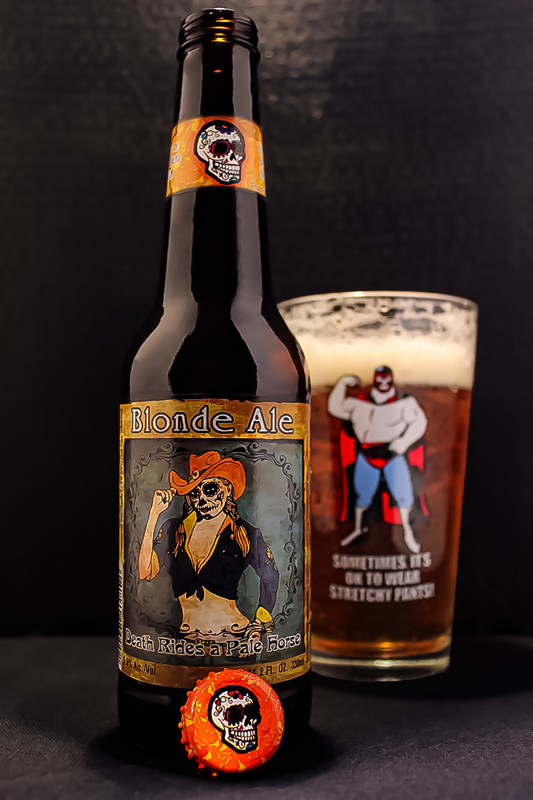 Death Rides a Pale Horse Blonde Ale features a beautifully drawn blonde girl dressed in a nice skimpy, slutty cowgirl outfit complete with a hat and all. Her face is painted up like a dia de los muertos skull. The whole label is very eye catching, and definitely pops right out at you from the beer shelves. The whole line of Day of the Dead beers are all like this, actually. Check them out. I poured this beer into a shaker pint by Rahr & Sons Brewing Company. This glass, I believe was one of their Cinco De Mayo glasses from a few years ago when I visited the brewery. It features a drawing of a luchador similar to Nacho Libre with the famous line from the movie, “Sometimes it’s OK to wear Stretchy Pants.” Very clear honey golden color topped with a nearly 2 inch bubbly head, which quickly disappeared. I even had a hard time with the head during the photos. As the head disappeared it left the top of the glass sticky with a nice film on the glass, but that was about it. The smell was sweet like brown sugar. There was a lot of biscuit bread, corn syrup, honey, a lager-ish smell, overall musty. The lingering aroma was bready and sweet. This one was biscuit and honey mostly. Flavors of sweet brown sugar/molasses, grains, must, honey, and a bit of earthiness make up the body with a hint of Corn syrup. Not much else was going on here. The lingering aftertaste was biscuit bread, honey, and sweet sugar. The body was slightly under medium in thickness. The mouthfeel was oily with a small crisp bite. Low carbonation. There was a dry finish to this beer. As with most, if not all “Big Beer” beers, this one felt like it was missing something. It was lacking in overall flavor and body, very watered down. This was a huge hint for me when trying to figure out if this was “Big Beer” or not. The part that had me torn was the fact that this was a Mexican beer, and most of the time, whether it be Craft or Macro, their beers all have this same lacking quality when compared to most American Craft Beers. This was a very easy drinkable beer, and one of those beers that would please any Southsider here in San Antonio (if you lived here, you would understand!). Metal Connection: Jon Oliva has had a brilliant Heavy Metal career dating back to the band, Avatar, formed in 1979, which later became Savatage in 1983. I won’t go into too much detail on Savatage, as this Metal Connection isn’t about that band, but I am a fan of their music, and you should be too! Mr. Oliva is also one of the core members of the Trans-Siberian Orchestra, a Orchestral/Progressive Rock/Metal band that plays Christmas songs along with other classical music. Jon Oliva’s Pain started in 2003 after Savatage called it quits at that time. This band has released 4 full length albums to this day. The song chosen here is called “Death Rides a Black Horse,” which is similar to the name of the beer in this review, so I went with it. The reference to the Black Horse is obviously more darker and eerie. This song comes to us from the band’s latest, and 4th full length album, Festival. Musically, this song is an epic journey through Heavy Metal or Power Metal-like riffs, and keyboards draped with Jon Oliva’s raspy clean vocal approach. 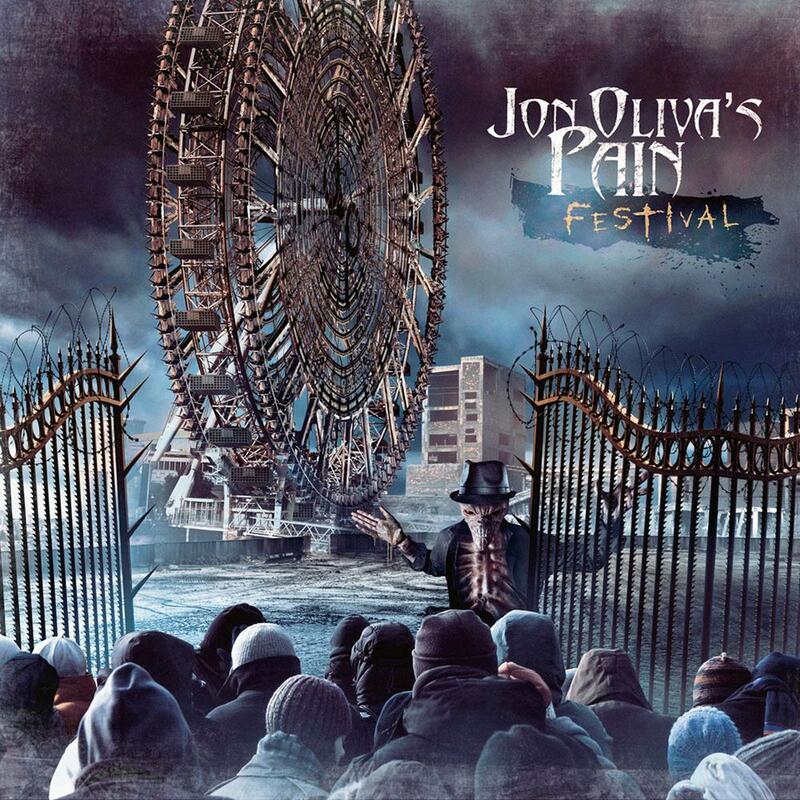 This is a great tune, and you should definitely check out this one and the rest of the albums put out by Jon Oliva’s Pain.